Previously: US Power Squadrons, US Army Advisory Board, THX LTD (Lucasfilm Ltd., THX Division). Today, Rick is leveraging his industry experience to manage entertainment projects, as well as identify, develop and launch new technologies and workflows spanning services in Education, pro and consumer markets. His work continues in Standards organizations representing companies interest in the creation of standards for new programs insuring industry standards and practices are applied. Providing the consumer with a great entertainment experience requires many elements to succeed, Rick has a unique mix of talents which can add value to a companies strategy. For many years, Rick had contributed to the development of technologies which bridge creative intent with the performance of devices in the home. Over the years, he managed large scale movie projects and designed and managed construction of post production facilities. At THX, modernized the Mastering program and expanded its services. Later for Lucasfilm, he provided post management and technical management for the release of Star Wars Movies and served as Technical Director for the restoration and re-mastering of the Star Wars Trilogy in addition to overseeing mastering for Fox, Disney and others . Today he oversees new business opportunities and technologies with special focus on enabling advanced workflows. 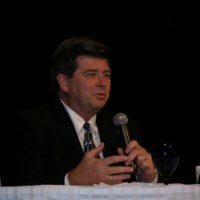 As a public speaker, he has represented companies in standards organizations and appeared in worldwide press and technical reviews. Rick also has extensive experience in the management of non-profit organizations and charities, serving Industry and his passion in boating education programs. Please contact me to discuss ideas. Contact me at rick@deanonline.net. Specialties:Professional: Motion Picture Production, Post Production, Project Management, Facility Design and Operations, Digital Cinema. Design background in Film Scanning technologies. Consumer: Entertainment technologies for the home, applications and emerging formats. Standards Committee activities and Technology Roadmap.